The goal of search engine optimization is to bring targeted visitors to your website. When SEO is done correctly, your website will rank at the top of Google for a variety of highly relevant searches. However, it’s important to understand that SEO is just part of the equation for online business success. Once those targeted visitors arrive, they need to have a great experience on your website. If your SEO is strong but your focus on user experience is weak, the traffic you work so hard to attract is going to leave your site and never return. 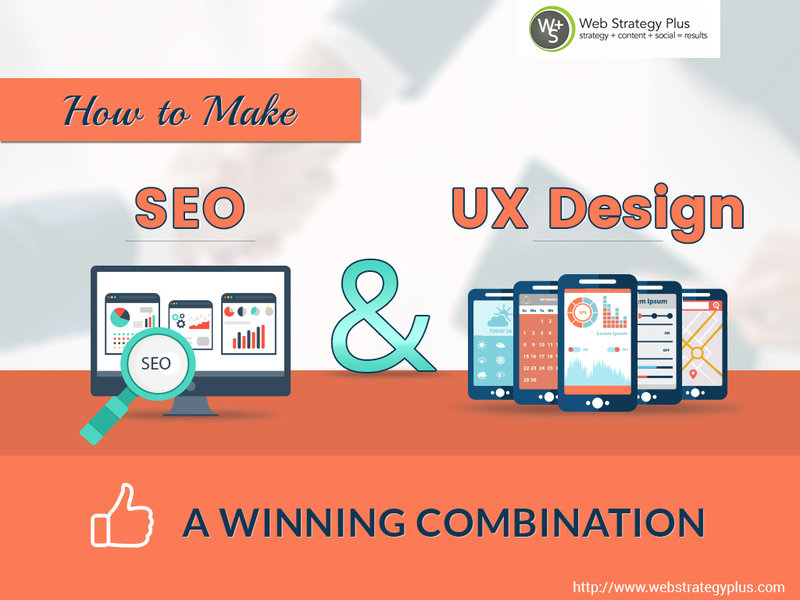 Another reason that UX design is something that should be thought about under the same umbrella as SEO is Google continues to place more emphasis on user actions when calculating its search engine rankings. That means regardless of how many quality links you build, if your site has serious problems like the majority of visitors clicking the back button shortly after arriving, it’s going to be very difficult for your site to achieve the best possible rankings. The first step to creating a successful strategy around SEO and UX design is using a responsive website design. This approach to design ensures your site looks and functions just as well on phones as it does on large screens. Since this is the design method Google recommends for mobile compatibility, it’s an absolute must. Second, you need to think of the individual pages on your site. We recommend doing an audit of the top pages that bring search traffic to your site. As you go through this process, you’ll want to see if each page has a clear layout, content that’s relevant to its core search term and a clear call to action. Figuring out the single most important call to action will help guide visitors to where they need to go. Another important part of this strategy is taking steps to make your site load as fast as possible. While an optimized responsive design is a good starting point, you’ll want to dig into individual elements like images. Although compressing and re-uploading images is something that can be done in a matter of minutes, this single improvement can drastically speed up how fast your site loads for visitors. Although pulling all of these pieces together in a cohesive way can take a lot of work, the good news is it’s not something you need to deal with on your own. As leaders in the online marketing space, Web Strategy Plus offers a comprehensive approach to SEO and design. To speak directly with us about crafting and implementing this type of strategy for your business, please call us at 1-877-224-0478.